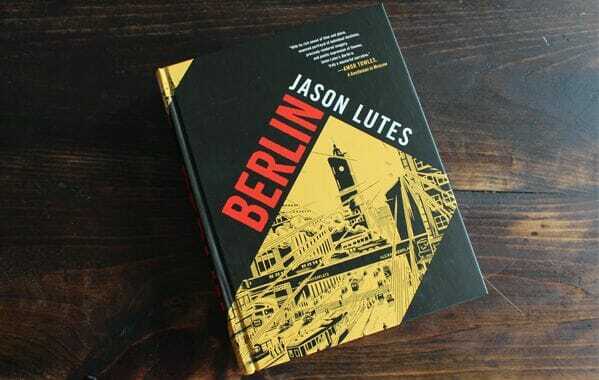 February 1, 2019 – During the past two decades, Jason Lutes has quietly created one of the masterworks of the graphic novel golden age. Berlin is one of the high-water marks of the medium: rich in its well-researched historical detail, compassionate in its character studies, and as timely as ever in its depiction of a society slowly awakening to the stranglehold of fascism. As our own era darkens, an epic sticks the landing and finds a relevance it could never have imagined at its inception. …Lutes, with his nano-thin lines and perfectly rendered faces, was always trying to send us an urgent message: All that is good is only supported by all that is kind. [Berlin’s] multiple story lines [mirror] the political and social situation of the time, as disparate characters careen like the nation and the world toward similarly dark ends. Lutes’s sharp, noir-influenced art snaps the sometimes murky narrative into dramatic relief, highlighting the tragedy to come. Jason Lutes’s Berlin [offers] a history of the city in a way that’s accessible and yet mind-opening. All the benefits of a good novel are here: three-dimensional characters, a dynamic plot, and a well-drawn setting. Lutes’ mastery of his medium cannot be overstated; Berlin is a veritable compendium of cartooning techniques. His realist cityscapes are exacting, his characters’ faces uniquely expressive…. Sometimes whole pages of pictures, without words, tell us everything. Ok As a GN consumer I’ll look for it!